Collection #2 Feminized from Sweet Seeds contains 6 feminized seeds of Ice Cool, Cream Caramel and Sweet Thai. 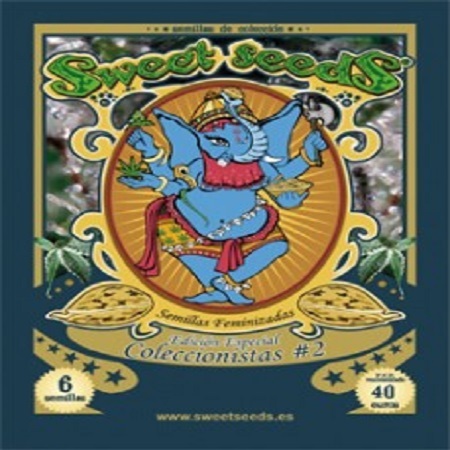 Collection #2 Feminized Marijuana Seeds by Sweet Seeds: Collection #2 Feminized from Sweet Seeds contains 6 feminized seeds of Ice Cool, Cream Caramel and Sweet Thai. Sweet Seeds Ice Cool are an upgrade hybrid of the most appreciated cannabis strains, a NYC Diesel and a variety of Indian genetics. 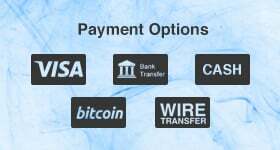 They are agreed to have an enormous potency and a high production of a super strong marijuana with rare exotic aroma and taste. 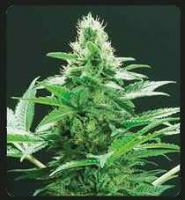 Feminized cannabis seeds of this cannabis are mostly sativa and show all attributes of this variety. They take a bit longer than their indica counterpartner to germinate, but once sprouted, go into a fast and robust grow. They are suitable for both indoor and outdoor cultivation and develop eye-appealing plants with a typical sativa look - tall and elegant, this marijuana plants can reach height of 20 feet in a single season. Once flowering has begun, Ice Cool can take anywhere from 10 to 16 weeks to fully mature. Flowers are richly covered in crystal with dense consistency usually along a main stem with a high flower to leaf ratio. Her narrow leaves of a light green colour have less chlorophyll and more accessory pigments (accessory pigments protect the plant from excessive sunlight). Yields of Ice Cool cannabis are strongly influenced by indica genes, her plants produce plenty of sites of dense and resinous buds which seem to take any gap they can find. An average 500 gr. of marijuana of the best quality is almost always guaranteed. Samples growing inside show respond well to any kind of growing methods and require only a basic knowledge of cannabis growing. Ice Cool marijuana is said to be one of the most powerful, her sativa's higher THC (22%) than CBD equals cerebral, soaring type of high, more energetic which can stimulate brain activity and may produce hallucinations, so should be used with caution. Sweet Seeds Cream Caramel is a 90% indica cannabis strain created by the Sweet Seeds' experts who crossed their popular East Indian varieties of BlueBlack, Maple Leaf Indica and White Rhino. It took a number of lab tests and five generations of selection to develop this new, absolutely unique strain, a very stable and productive, of intense flavour and with abundant resin, very adaptable to unfavourable conditions and environmental adversities (cold, drought, etc. ), showing more consistency than any F1 hybrid. Feminized cannabis seeds of Cream Caramel are very easy to grow and manage. As they are all hand selected and properly tested, almost 100% of germination is guaranteed. Seedlings are strong and healthy, growing into short and bushy plants suitable for indoor and outdoor cultivation. Plants of Cream Caramel cannabis are very attractive, their dark green foliage often turns purple in early stage of maturing and makes a perfect back ground for big dense buds covered with white shiny crystals full of THC which is between 15% and 20%. It takes just 8 weeks for this marijuana variety to form and mature numerous bud sites which seem to fill any gaps they can find. The main scent of toffee flavoured coffee starts appearing during the early stage of maturing and is mixed with hints of Molotov's cocktail from the genetics of BlackBlue. This cannabis variety is ready for harvest already in the middle of September with an average of 550 gr per plant. Indoor plants produce the same amount but per m2. Cream Caramel is very popular between consumers of cannabis medical, since her she contains chemo types with high levels of THC and sufficient CBD to induce relaxation and act as an antidepressant . Sweet Seeds Sweet Tai are part of a Sweet Seeds sativa collection and combine a high level of THC with a pleasant Asian scent from the finest Thai cannabis strains and an intense musky taste from genetics of Skunk #1. These cannabis seeds are not the easiest to grow and we wouldn't recommend them to beginners in cannabis growing business. Yet, it's worth trying, as Sweet Tai is really an excellent cross with a pleasant Tai aroma and flavour, very penetrating and spiced, typical from some of Asian exotic varieties. Mostly sativa, Sweet Tai shows some indica traits which give a compact structure, a relatively short flowering period and high yields. Sativa dominates in strong hash aroma and extremely powerful energizing high. 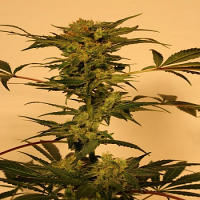 Sweet Thai feminized cannabis seeds produce very eye-appealing plants with long thin fingered leaves on well developed branches supported by an elegant sturdy stem. A usual light green foilage might sometimes have some yellow pigments due to less chlorophyll. Historically, it was meant to protect the plant from intense light. Buds of this marijuana are long and thin, far less densely populated than any indica dominated, although longer in length and very potent. An average yield is around 400 gr. Experienced cannabis growers can increase this amount by nurturing this sativa diva.